Pipeline System pipe is international specialists in weld cladding, الكسوة الأنابيب, clad pipe fitting and fabrication, combining cutting-edge technology with 20 years of world-renowned expertise. Pipeline System offer full supply of weld clad components, pipe and fittings to the oil and gas and offshore industry. The result is a clad pipe with a corrosion resistant alloy (اللجنة السويسرية للطعون) liner, such as Alloy 625, that is metallurgically bonded into the interior diameter of a less expensive host billet, such as X-65. 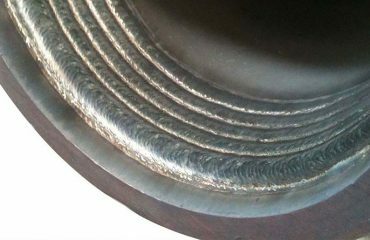 The clad billet is then hot-extruded into the finished pipe, providing substantial cost savings when compared to a solid alloy or stainless pipe.